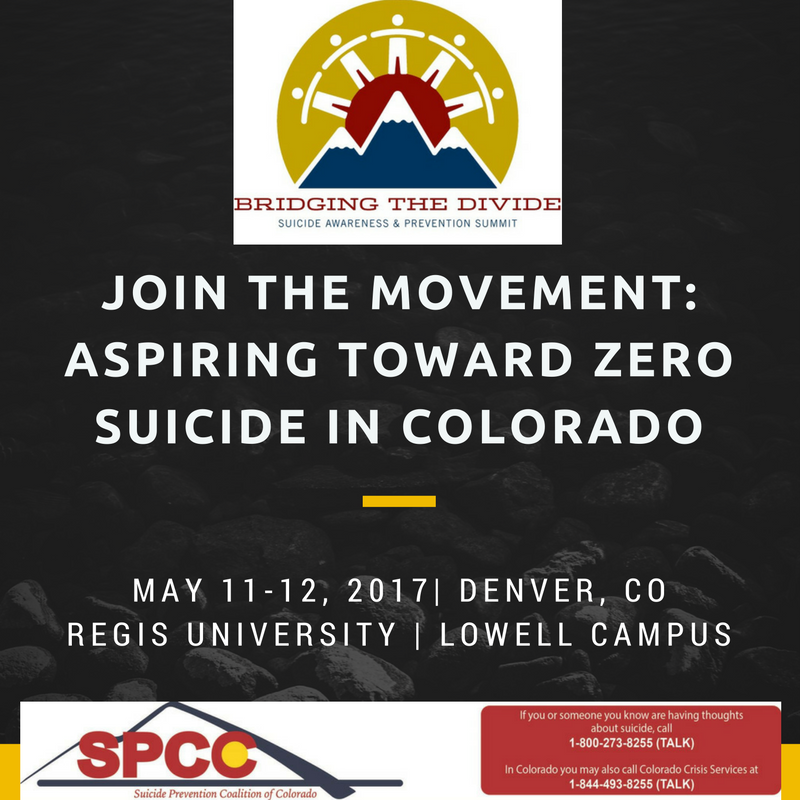 SPCC is excited to announce that the 2017 Bridging the Divide (BtD) Suicide Awareness and Prevention Summit will be held May 11-12, 2017, at the Regis University Lowell Campus. This year's theme is “Join the Movement: Aspiring Toward Zero Suicide in Colorado,” and the BtD Planning Committee has been hard at work to make sure you have an educational and thought provoking experience. The BtD Planning Committee is seeking presentations to round out the educational offerings at the Summit. We are eager to learn how you are working in your profession to aspire toward zero suicide in Colorado. We know it takes everyone to stop suicide. Please take advantage of this opportunity to share your expertise so that everyone may benefit from your experience. The Call for Presentations will be open on December 1. Submissions are due on February 1, and speakers will be notified by February 17. Registration for the 2017 BtD Summit will also open on February 17th.